In episode 004 I shared that in order to start your kids on a path for loving books, you must make books available to them early and often. Today I’d like to share some great lists and resources on some of our favorite books and strategies for finding books that our kids enjoy. As a devout Charlotte Mason homeschooler, it is my belief that good books (classics) being read aloud to our kids is one of the most foundational things we can do for their academic and even moral development. I can’t tell you the hundreds of meaningful conversations I have had with my kids simply from discussing characters from books. I am also able to really check in on my kids’ reading comprehension and understanding of new vocabulary by the use of narration. For a WONDERFUL list of classic literature selections by grade, I use this list. 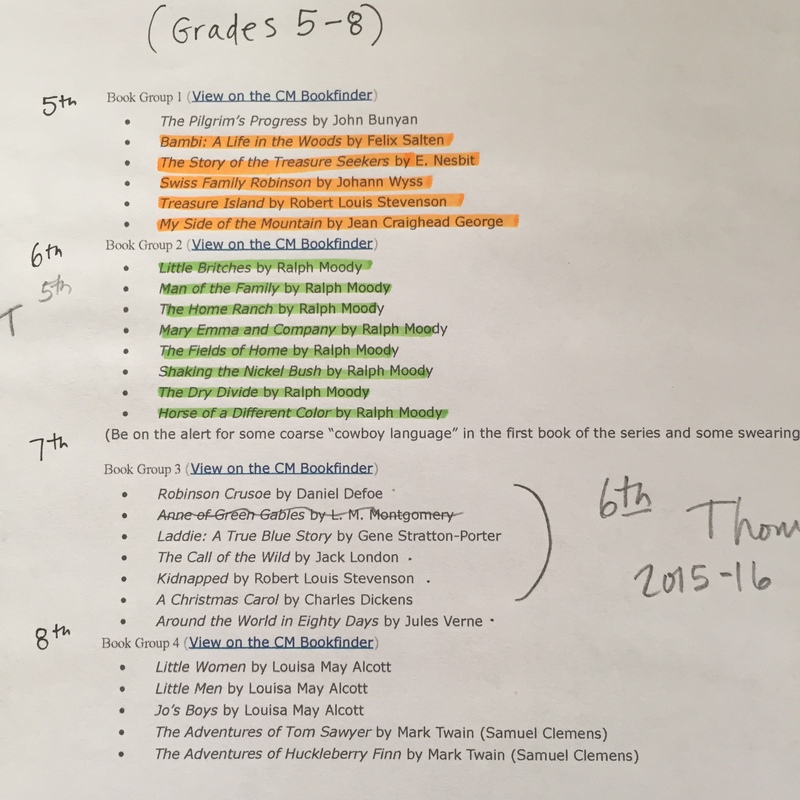 Everything you see highlighted here are books the kids and I have read over the past four years. If reading aloud isn’t your thing. If so, there’s a great free app that has nearly every book on the list above (plus hundreds of thousands of other titles) for free download as audio books. Librivox is public domain and available in the iTunes app store. Maybe you aren’t quite ready to tackle reading the classics to your children but you are curious about other age appropriate lists of books for them. Here are some other resources. Scholastic has a wonderful parents page where you can search by age or reading level, and within that field, you may search books by a dozen other parameters. 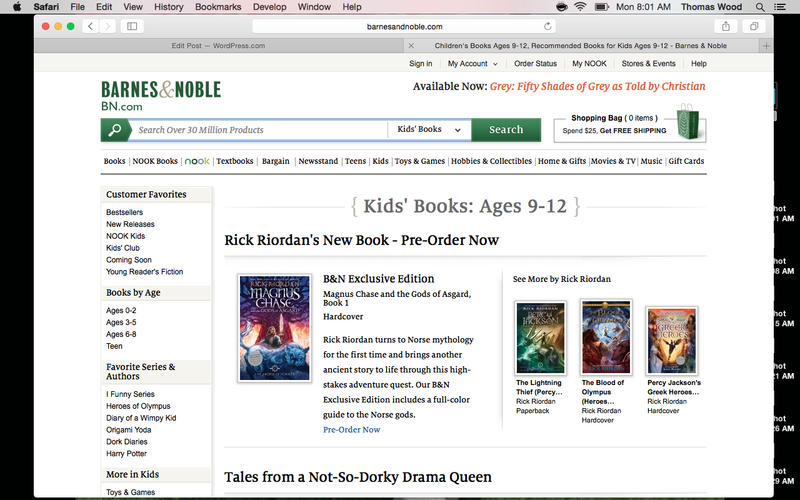 Barnes and Noble has a similar feature on their website. You may also find such lists on the ALSC (Association for Library Service to Children). Did my nerd-cred just crash the system with that one? Yes, I look at library websites. And I like them. So sue me. NPR put out a great list a few years back for their Backseat Bookshelf for the 100 must reads for kids ages 9-14. It’s worth taking a look at. 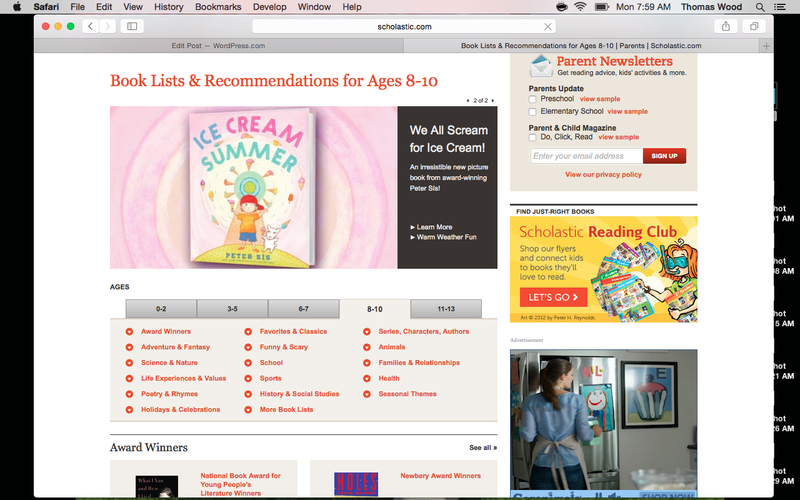 And even Goodreads has kids’ book lists. Those lists are all great! They are wonderful starting points, but if you’re like me, you may prefer actual recommendations from someone you actually know. I’ve asked my kids about some of their favorite books/series and have permission to include them here. Most all of these titles are available through Amazon, but we nearly always check them out at the library. Do your kids have any treasured books or favorites you’d like to share?